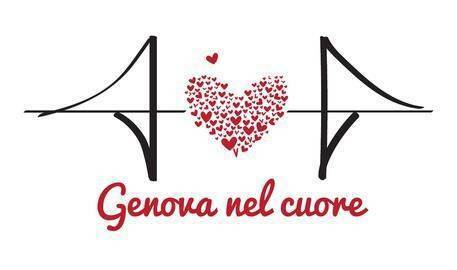 After the tragic Morandi bridge collapse incident in Genoa, the port of Genoa is facing major repercussions on traffic from the port city to the rest of Italy and Europe due to the interruption of the connection between A10 and A7-A20 motorways. We’d like to inform you that all the other motorway links and gates are fully operating. Voltri Pra’ and Genoa SECH (Sampierdarena port basin) are accessible. However, heavy traffic can be expected in these areas. 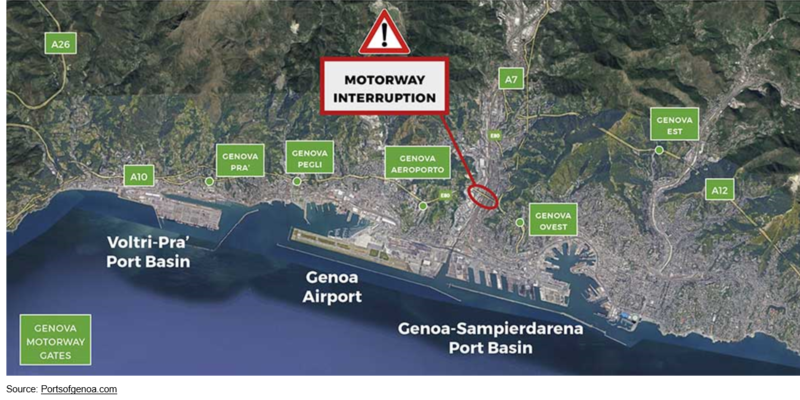 Meetings are being held daily by the Port Authority and Genoa Municipality to find solutions for port internal connections to relieve the traffic congestion and to improve road access to the Genoa Sampierdarena port basin. We’d like to reassure you that our team is working relentlessly on finding solutions for the situation and minimizing the effect of the incident on cargo transportation. Meanwhile, Our team is at your disposal to answer any questions or concerns. From East Italy (Veneto region): Can be reached through the A4, A21, A12, A7 to A26 Motorways. This is a longer route and extra charges might be applied. From West Italy (Piemonte region): Can be reached through the A21, A10 and A26 to A7 Motorways. This is a longer route and extra charges might be applied.